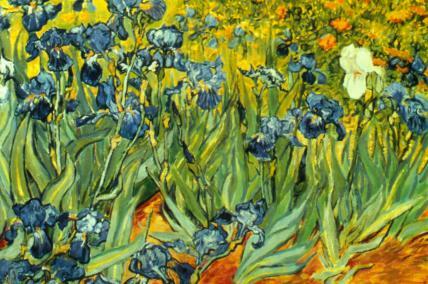 Also known as "The Irises"
"Although when he was alive, Vincent Van Gogh hadn't enough money to pay for his art materials, a hundred years later his painting 'The Irises' sold for an unprecedented sum at a New York auction. This animated short, excerpted from Jacques Giraldeau's 1989 film Le Tableau noir, takes a loving look at the masterwork." National Film Board of Canada. "NFB -- The Irises/Les Iris." National Film Board of Canada. http://www.onf-nfb.gc.ca/eng/collection/film/?id=26018.